very less thrade braking due to smooth finish of niddle. catagory wise quality is "fine quality"
The value of the product is directly proportional to the quality of the pack that holds it. Beissel is a stern believer of this saying. 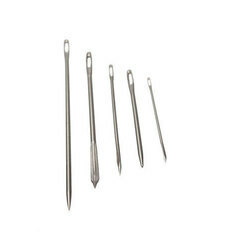 We are a unique name in the market to provide our honourable customers an exclusive range of Hand Sewing Needle. 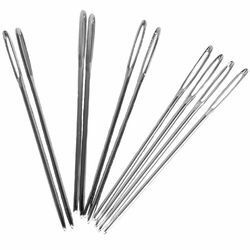 We manufacture a wide range of Sail Needles that are manufactured from superior grade of steel. It comes with high quality of chrome plating on it.